These past few days, I haven’t posted much. Sadly, I’ve been sick this week and needed some time to rest. It’s such an important lesson, putting ourselves first. It’s one I’m still learning, to be honest. However, a ray of light was cast upon this annoying week of sore throats and stuffy noses – I was nominated for The Mystery Blogger Award! Being part of this blogging community in mental health means so, so much to me and I could not be more thrilled to be among the fantastic bloggers who have received this nomination. I’m so incredibly grateful to Addison over at Embrace Authenticity for nominating me! A recovering perfectionist, she has gracefully learned to accept and embrace her brokenness and encourages others to do the same. I love reading her blog, you should all go check her writing out. I own every single season of Friends on DVD, and I’ve seen every episode more than five times. It’s a bit of an obsession. I love my dog more than probably anyone else in this world. He’s a 10 year old Chow mix named Gus – he’s my entire life. Love you, dude. Throughout my year and a half in therapy, anger has always been something I struggle with. It’s the hardest emotion for me to fully understand, and let myself feel. I’m a work in progress. What do you identify as your greatest accomplishment? I won’t lie, this is weird. I’m usually the one asking the questions. I would have to say that my greatest accomplishment in life – so far – has been making the decision to start therapy. Without it, I would be lost. I made a lot of excuses about it in the beginning, but I knew it was time. If I didn’t bring this healing into my life, I never would have the experiences that have happened since. Yes, there has been heartache, but it has taught me that I’m much more equipped to handle triggering events. What fear are you hoping to tackle? I’m hoping to tackle my difficulty with anger. Growing up, I always had an issue with being mad – it was considered wrong to feel that emotion. Therapy has really helped me to understand the why, but now it’s all about pushing past those behaviors I’ve learned and realizing that it’s okay to be angry. What’s your favorite type of beer/wine? Honestly, I’m not much of a drinker these days, but I would say my favorite kind of beer would be Mother Earth’s Cali Creamin’. It’s like drinking candy, seriously. If your personality were an animal, what would it be? Oh man, this is a fun one. I’ve actually thought about this before, and I think it’s pretty obvious (to the people who know me) that I would be a dog. I’m always so excited and passionate about everything, and I’m stoked to see people – whether it’s family or friends. Dogs are better than people anyways. What are the main passions/interests that show through in your blogs and why? 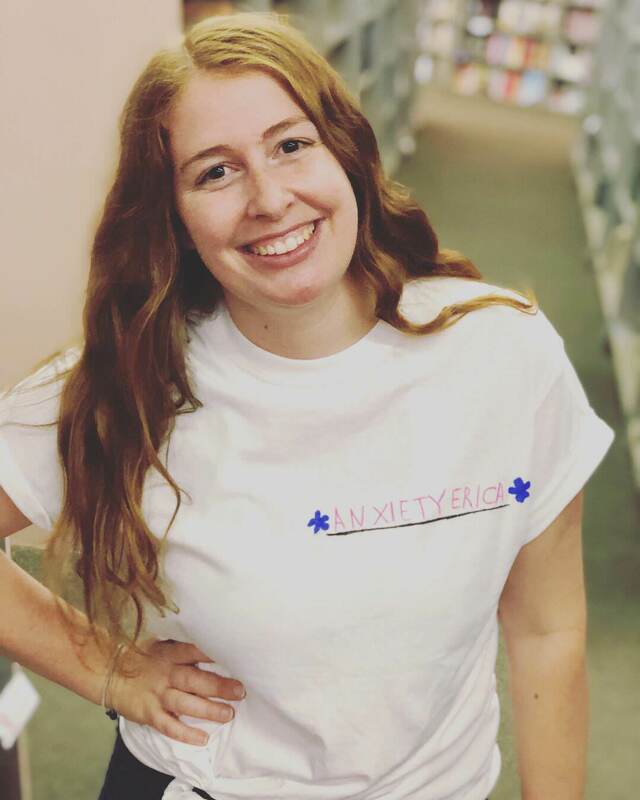 My blog is specifically rooted in issues surrounding mental health and anxiety. I decided to write a blog about this because it was time. It was time for me to speak out and be vulnerable about my own path. Writing and sharing has always helped me to heal, and now it’s starting to help others heal. It’s my true purpose to help others see that they aren’t alone in their mental illness – we are all works in progress. Where is your safe space/ happy place? What emotion is hardest for you to handle? Tell me one thing that you love about yourself. What is your favorite kind of tea (or coffee)? I’m truly honored to be part of this community online and couldn’t be more excited for what’s to come. Thank you again to Embrace Authenticity and I can’t wait to see the posts from my nominees! Oh wow! This is such a cool idea. Thanks so much for the nomination!